Born and raised in the Pacific Northwest, Rachel has a Bachelor of Arts degree in Theatre & Media Arts (with an emphasis in Stage Management) from Brigham Young University, and a Master of Fine Arts degree in Arts Administration from Southern Utah University. Rachel has worked in various types of arts organizations, including The Utah Shakespeare Festival and Braithwaite Fine Arts Gallery in Cedar City, The Utah Symphony & Opera and Sundance Film Festival & Institute in Salt Lake City, Inter-Borough Repertory Theatre Ensemble in New York City, The Nevada Arts Council in Carson City, and the Tony Award-winning National Theatre of the Deaf in Connecticut. When not teaching at SUU, Rachel works as a consultant for non-profit arts organizations and serves as the Arts Leadership Chair of the Kennedy Center American College Theatre Festival Region VIII. Joshua Stavros has over 16 years of professional arts management experience, including serving as Media and Public Relations Manager and Associate Education Director at the Tony-Award winning Utah Shakespeare Festival. He has a BS in Theatre and an MFA in Arts Administration from Southern Utah University. In addition to his arts management work, he has acted and directed in a number of colligate and professional productions, including three Greenshows, and taught in the Cedar City area high schools. He has served as the spokesperson for the Utah Advisory Council of Theatre Teachers, and has been a member at large of the Utah Thespians Association. He currently serves on the boards of the Utah Cultural Alliance and Utah Cultural Advocacy Alliance. Bill Byrnes came to SUU in 2004 as Dean of the College of Performing and Visual Arts. He has extensive experience in higher education management, planning, and administration and was the Associate Provost at SUU for 5 years. He has been teaching in the field of arts administration and theatre management for over 25 years. He has managed and produced over 150 events and productions in the performing arts over the last 40-plus years. His textbook, Management and the Arts, is in its 5th edition. 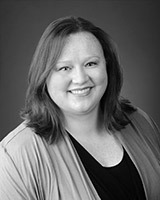 Nikki Koontz is the Executive Director of Marketing Communication for Southern Utah University. In this role she coordinates SUU's press coverage, content marketing, video creation and directs social media efforts across multiple platforms. Previous to her employment at SUU, she was the Media and PR Manager for the Utah Shakespeare Festival for more than four years. She became an adjunct professor for the Arts Administration program in 2014 and teaches courses on marketing and event planning. She was a Hilberry Theatre Fellowship recipient and earned her MFA in Theatre Management at Wayne State University in Detroit, MI. She holds a BA in Theatre from California State University, Fullerton. Dallin is the Development Coordinator for the Utah Shakespeare Festival. He received his BA in Theatre Arts from Southern Utah University and Master of Arts Management from Carnegie Mellon University. He has worked in many areas of the theatre over the past six years. His primary areas of expertise are data-gathering and analysis; results-oriented programming and evaluation; long-range planning; data-informed decision-making; and audience engagement. 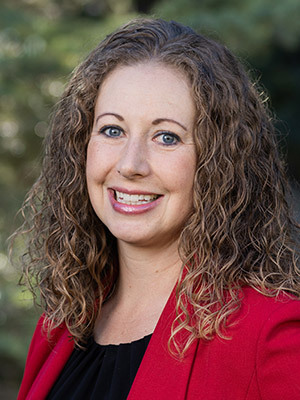 Dallin began teaching in Arts Administration in 2017. Born in Montana and raised in southern Utah, Zachary Murray has experience working in business and accounting in a number of industries. Zachary has a Bachelor’s Degree in Accounting, a Master’s Degree in Accountancy and a Master’s Degree in Business Administration. Zachary has worked as the Controller for a construction company in Las Vegas, as the Auxiliary Accountant for the controller’s office of Southern Utah University, as the Director of Business Operations for Student Services at Southern Utah University and as the General Manager for the Utah Shakespeare Festival prior to working in his current position in the office of budget and planning. Zachary served as the General Manager of the Utah Shakespeare Festival for over three years, overseeing the financial and business operations of the Festival. During his time at the Festival Zachary also served as the Interim Executive Director for six months while the Festival replaced their long-time Executive Director after his retirement in March of 2017. 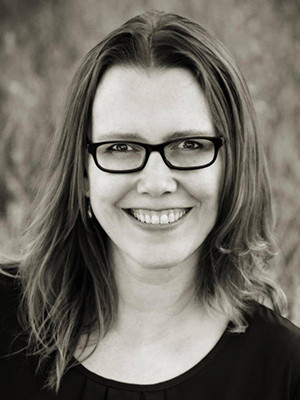 Kami Terry Paul has worked in arts marketing for sixteen years at the Utah Shakespeare Festival, where she oversees the Festival’s brand, marketing strategies and implementation, and all communications from the Festival. Starting as the marketing manager in 2001, she worked as marketing director from 2007-2015, marketing and communications director from 2015-2017, and will be the Festival’s general manager starting in November 2017. Kami earned a Bachelor’s degree in business administration and marketing from Weber State University and a MBA from Southern Utah University. Kami began teaching as an adjunct professor in the arts administration program in 2017. 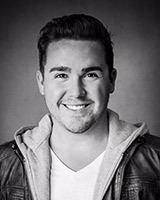 Born and raised in San Diego County, Justin has a Bachelor of Arts degree in Theatre Arts with an emphasis on Acting and Directing from Concordia University, Irvine and a Master of Fine Arts degree in Arts Administration from Southern Utah University. Justin is currently the Director of Development for the Moonlight Cultural Foundation, the fundraising arm of The Moonlight Amphitheatre, a well-known regional theatre producing year-round in Vista, CA. 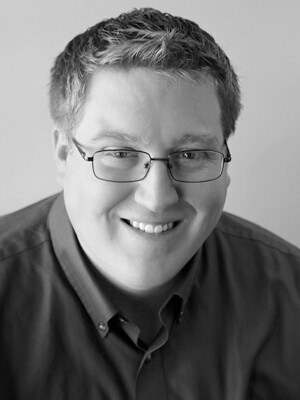 Justin has previously served as Sponsorship and Special Events Coordinator for the Tony Award-winning Utah Shakespeare Festival and Director of Connectivity at New Village Arts in Carlsbad, CA.